The origin of wine is open to speculation and the cultivation of grapes pre-date written records, but one thing is for sure: wine has been a part of civilized social affairs from the beginning. Understandably so, as it is meant to be enjoyed with others! 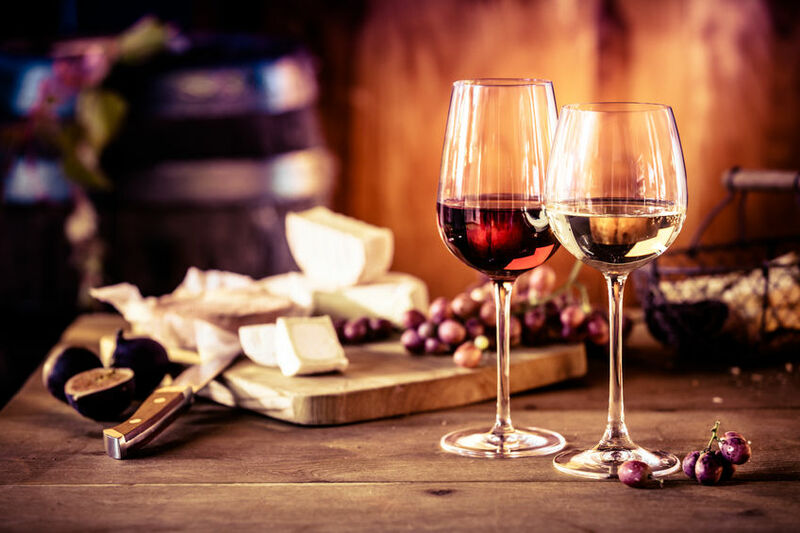 Whether at a special celebration or with a good meal, wine is shared by the connoisseur as well as those who just want to appreciate the experience. And when you’re celebrating with wine, you can be sure your wine etiquette habits will pay off on a date, at a gala event, or in your boss’s home. If you want to experience your wine rather than simply drink it, there is a six-step process that will enhance your appreciation of this fascinating beverage. Observe your wine as you hold the glass by the stem. Place your glass on the table and turn it in a circular motion a few times. As it begins to swirl, the aroma is released. Bring the glass up toward your nose and inhale. Let your instincts give you a sense of the wine. Never gulp wine. Let the wine’s aroma come into your mouth. 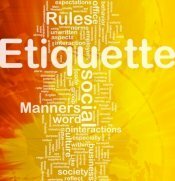 These six steps can be done subtly, without drawing attention to yourself, or can be a shared experience among friends. Either way, it will help increase your enjoyment of the wine. Wine glasses are referred to as "stemware." You typically hold your wine glass by its stem so the warmth of your hand doesn't interfere with the appropriate serving temperature of the wine. There is, however, a trend of using "stemless" wine glasses. These are best for serving wines that aren’t chilled. 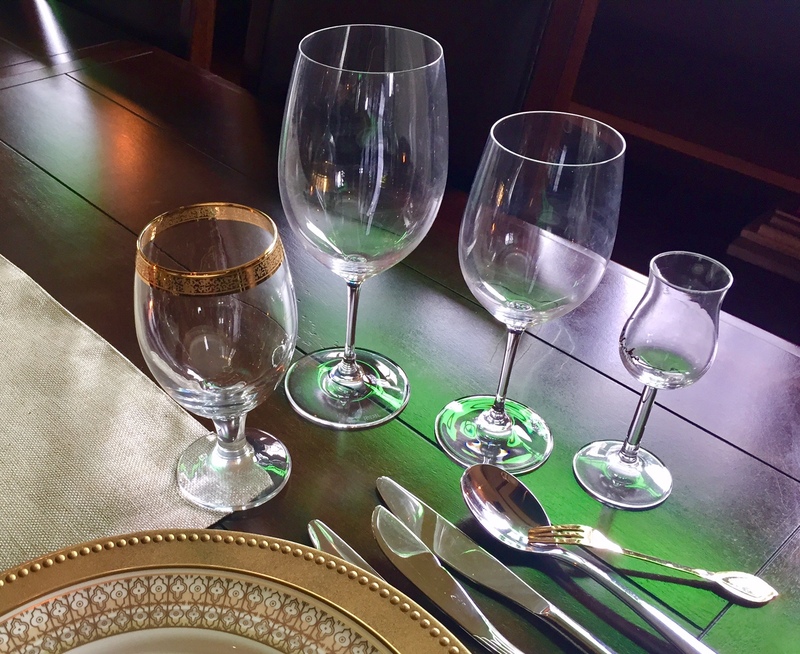 Stemware is made in various shapes and sizes to complement the wine served. The shape of the bowl and size of the opening determine how well the wine “breathes” or how the aromatic compounds of the wine are released. As hinted above, your smelling of the wine will determine how well you taste it. And how well it tastes to you. Before drinking, wipe your mouth with your napkin to avoid leaving traces of food on your glass. If you’re wearing lipstick, blot your lips before drinking to avoid smudging the glass. If you can’t avoid smudging, drink from the same place on the rim. If you choose to clink glasses after a toast (which is not required to complete a toast), touch the bowls of the glasses lightly while making eye contact with each person participating. Many people these days say, “Virtual clink!” as they raise their glasses. Dining out with friends and family can turn an ordinary evening into a special occasion. Especially when your favorite wine is on the menu. Even if you don’t consider yourself an experienced wine consumer, there’s no reason not to order and enjoy a glass of wine. Consult with your server or the sommelier if you would like to entertain suggestions on a wine to order for the group. They will know which wines complement specific foods. It’s fine to ask for advice on excellent wines, and you can point to a wine on the menu which the sommelier will read as an indication of your preferred price range. When your server brings the wine to your table, he will first show you the label before opening the bottle, so you can be sure this is the wine you ordered. Once you confirm the bottle of wine, a taste will be poured into your glass so you may then give your approval. An important point: If the wine does not meet your expectations, you may reject it without lengthy apology. If you are hosting, or are the person asked to order the wine, after you have given your taste approval, others will be served wine before you are served. Keep your glass placed properly on the table, to the right of the water glass. There’s no confusion whose wine is whose. When the server is pouring wine from the right side, accidents are avoided. Just because you are at home, or visiting someone else’s home, doesn’t mean a glass of wine won’t be an experience. In fact, a more intimate setting is sure to make it more of an experience. Using appropriate stemware is a good start. But if you’re on a budget or haven’t yet invested in various stemware, don’t let this deter you from enjoying wine with good company. As the host in your home, pour the first round of drinks for your guests. The bottle will pour more easily if you hold it towards the base, where most of the weight is. And remember to fill the glass less than half-full to give the wine room to breathe. Wine is a terrific host gift when you’re invited to dinner. Do not expect or anticipate that your wine will be served that evening. Your host may have already arranged the wine to serve – and your wine may not pair best with the meal. Don’t bring a chilled white wine, as they may be a hint of an expectation on your part. If your hosts are known for their knowledge of wine, they may appreciate something unusual. Visit a wine shop for suggestions. Or you could always bring a label you know they are fond of. Enjoying a glass or bottle of wine with your favorite people is always an event. Though it may seem there are many guidelines for the serving and drinking of wine, they exist to make the occasion a relaxed and social one.